Toyota Motor Co. is turning heads at the 2013 International Consumer Electronics Show in Las Vegas, Nevada! 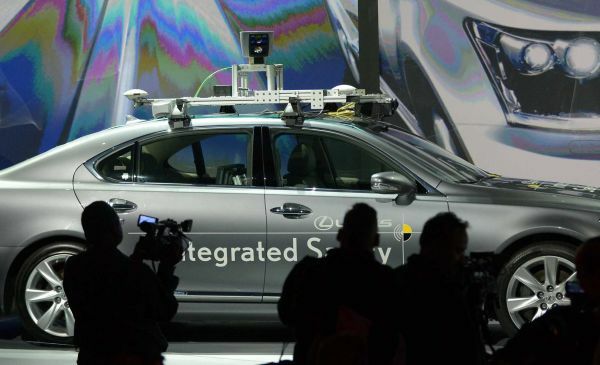 The feature event for Toyota was the presentation of their new experimental automated vehicle; the purpose of the vehicle is to create a virtual co-pilot for drivers. The virtual co-pilot isn’t the typical “self-driving” feature that comes standard in several high-end models from manufacturers such as Mercedes; instead it helps drivers avoid accidents. The automated vehicle featured in Las Vegas has sensors and automated systems to observe, process and respond to its surroundings. For Toyota, a truly safe and efficient vehicle means a car that is intelligent and attentive at all times to its surroundings, a literal co-pilot to drivers. Toyota already offers vehicles that are repeatedly top safety picks year after year, but with this new experimental concept the Asian automaker is looking to take safety to the next level. Mark Templin, head of U.S. sales for Lexus, stated, “we have a different philosophy than other people who are doing autonomous car projects. We believe the technology should make the driver better and that it should not be a driverless car.” According to Toyota, the experimental automated vehicle is a “platform” to develop systems to aid driver awareness of traffic conditions, enabling motorists to make better decisions and improve driving skills. With cutting edge safety technology like this, All Star Automotive is proud to be a Toyota dealer. If you’re in the market for a new or certified pre-owned Toyota, visit http://www.allstarautomotive.com/ or call (225) 490-6409 today. Come and see why All Star’s integrity and extraordinary customer service will prove to be second to none. Whether you’re looking for a new or pre-owned vehicle, we look forward to sharing our vast knowledge of the automotive industry with you, your family and friends. At All Star Automotive, we offer a wide range of automotive services to make every step of your ownership experience as easy as possible, whether you’re shopping around, or need repairs from certified experts. To help you find just what you’re looking for, our new inventory and used inventory search provides plenty of options. And when you’re ready, quick credit approvals and online financing help make your purchase go smoothly and efficiently. You can also schedule your service online and get the expertise of one of our factory-trained technicians. All these options are available at Baton Rouge’s favorite place to buy and service vehicles – All Star Automotive! This entry was posted in All Star Toyota of Baton Rouge and tagged 2013, all star, all star automotive, all star toyota, all star toyota of baton rouge, auto, car, co-pilot, consumer electronics show, las vegas, new car, pre-owned car, safety, toyota by All Star. Bookmark the permalink.